Asphalt is an investment. It requires care year after year to ensure it lasts as long as possible. 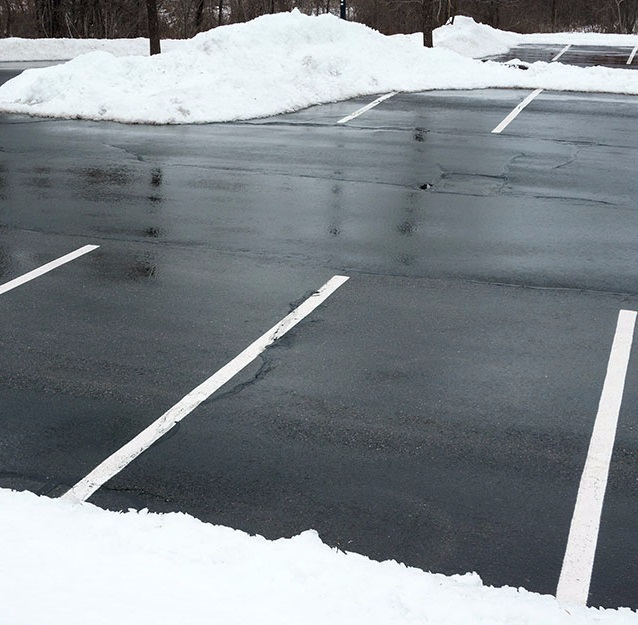 Below are 3 tips to help you protect your asphalt pavement this winter. In the fall, before cold and freezing temperatures hit, you should have any cracks in your asphalt filled. Crack filling is essential if you want to keep small cracks from worsening. Cracks are a problem because they allow water and other elements to breach the foundation of your pavement, causing corrosion that may require more costly repairs. If you have pot holes, patching should be a top priority. Consider seal coating before winter too. If it’s been a few years since the last time you sealed your driveway, talk to your service professionals to determine if a fresh seal coating is necessary. Snow, ice, and water are the enemy when it comes to your asphalt. Removing snow as promptly as possible will better protect your driveway from cracks and pot holes. It’s better to use a plastic shovel because metal can damage an asphalt surface. If you hire someone to remove snow from your property, make sure you choose qualified professionals so unnecessary damage is not incurred. Water is not the only element that can damage your pavement. Rock salt can also cause damage to porous surfaces like asphalt. To avoid additional harm to your driveway, explore safe de-icing options like potassium chloride. Our asphalt contractors would be happy to service your driveway or parking lot in the fall to prepare it for winter. If you forget to have service done before freezing temperatures hit, we’ll schedule a spring appointment to ensure any damage is properly repaired.